Police in Suffolk County today released sketches of two victims whose remains were found near Gilgo Beach on Long Island. The Asian man was found wearing women’s clothing. 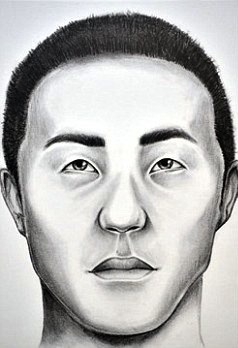 This has lead cops to suspect he may have been working as a prostitute. He was slightly built, between 17 and 23 years old, and about 5’6″ tall. He was missing his molars in both jaws, as well as one of his top front teeth. He is believed to have died between five and ten years ago. The head, hands and one foot of an unidentified woman have been linked via DNA to the a torso found in Manorville, NY in 2000. 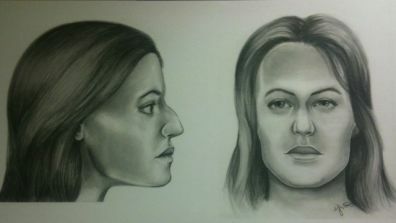 Jane Doe 6, as they call her, was between 18 and 35 years old, and about 5’2″ tall. Photos were also released of items found on other victims. 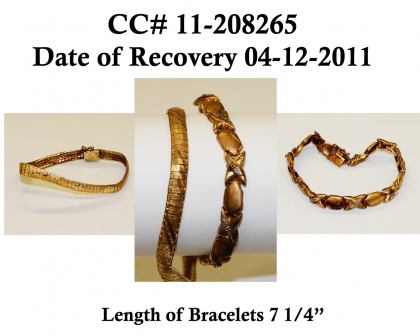 These included a rope necklace and hoop earrings believed to belong to the toddler, and two bracelets found on the person who may have been the toddlers mother. Although the two were found miles from each other, DNA has confirmed that they are related. It has not been able yet to confirm or disprove that they are mother and daughter. The toddler is a non-Caucasian between 16 and 32 months old. Both are believed to have died from one to five years ago. One of the bracelets was decorated with X’s and O’s that looked like diamonds, and the other was a “snake chain”. Suffolk County Police Commissioner Richard Dormer said the jewelry was not unique, and could have been purchased at any number of stores across the country. All of the victims are believed to have been killed and dismembered at another location, then transported to the Gilgo Beach area for disposal. Update 9/21 at 7:55am: Added image of jewelry and additional details that were available this morning.